We invite you to check out our last ‘fresh’ edition for the summer. Over the next two weeks, look for our Best of 2017 features. See you in September. How much for your sell-side research? If banks can be unbundled, what about movie studios? A financial institution can acquire the IP of a fintech start-up, retain its best people, bask in the edgy millennial glory of its new brand and still fail to achieve a return. That’s because a start-up’s culture, which doesn’t show up explicitly on the balance sheet, needs to be maniacally protected at all costs. Many times, that doesn’t happen, and the acquired entity instead gets ‘bankified’ by the new owner and its rules, processes, internal politics and worst of all, cult of committees. Unfortunately, Simple and its enlightened parent BBVA fell into this trap. In the words of Simple CEO Joshua Reich, who wrote a commendable re-committment blog post this week in conjunction with a sizable layoff, “We have been acting like a bank instead of a technology company. And that changes today.” We don’t doubt his sincerity and suspect that he will have the full support of his parent ─ for a while. In the longer term, though, the test for Simple is really a test for BBVA, and its commitment to an innovation-centric approach that will have more bumps along the way than a traditional financial institution is often able to tolerate. Is BBVA ready to pass this Simple, hard test? Act now for 10% off all sell-side research. The best way to understand the true value of a quasi-free product or service is to put an explicit price on it. Like it or not, that’s about to happen with sell-side research in the EU ─ and to some degree in the US ─ thanks to the EU’s MiFID 2 directive that requires transparent research pricing. It’s been reported that UBS will ask $40,000 for its base model research product once MiFID 2 is effective in January. Meanwhile, several large asset managers have chosen to absorb the cost of sell-side research themselves. Count Pimco, Vanguard, JP Morgan Asset Management and Woodford Investment Management among those in the “we’ll eat it” club. But smaller asset managers are likely to choke on such a significant cost. For them, the post-MiFID 2 world could mean cutting back on sell-side research and/or having awkward conversations with clients over costs that must be passed along. Those conversations may turn into old-fashioned haggling over who pays. A fintech-style unbundling of the movie business? The traditional film industry had a bad week. First, news hit that theater owners would face a pricing model challenge from a former Netflix executive offering an all-you-can-watch subscription for $10 a month. Then, Apple announced it would be shelling out $1 billion to develop original content. Finally, on Thursday, Steven Soderbergh’s “Logan Lucky” opened, marking the director’s return to movie making after a hiatus. Aside from the movie being terrific ─ akin to a NASCAR version of “Ocean’s 11” ─ what’s notable is that it represents a new intersection of financial innovation and film production economics. With “Logan Lucky,” Soderbergh has subverted business as usual by turning over distribution and marketing to an outside party in a bid to retain more of the film’s economics. Thus far, large studios have managed to avoid such attempts at unbundling. But instead of Hollywood teaching big bad Wall Street how to behave via finger-wagging feature films, maybe the time is coming when banks ─ which have learned a thing or three from fintech start-ups nipping at their heels ─ can teach Big Film some lessons. Real portfolio diversification needs a new approach. In previous eras, you could sleep pretty well at night if you kept roughly 70% of your portfolio in stocks and 30% in bonds. As you grew older, you could gradually increase the weighting of your bonds and still get some shut-eye. But for better or worse, classic portfolio theory doesn’t fly anymore. That’s because correlations between stocks and bonds have increased to the point at which many of them move up and down in unison. As long as the bull market in stocks continues, today’s high correlations aren’t too big of a problem. But if they persist in down markets, many investors could grow worried quickly. To combat this concern, Fundrise has worked tirelessly to create a new source of diversification that has been made possible by evolving federal regulations and technological advancements. The resulting offerings from Fundrise provide opportunities to access high-quality private market real estate investments, which have characteristics that aren’t subject to the daily ups and downs of today’s markets. Passive investment gets a new skeptic. From high fashion to insurtech, Apple resets its watch. Even the biggest companies in the world pivot their products. The big difference is that when they do it, they use their leverage with the media to smooth the abrupt edges. Apple’s watch is a case point, as word ‘leaked’ very loudly this week that it was in ‘secret’ talks to deliver free or discounted watches to 23 million Aetna customers. It’s true that when the Apple Watch was launched by CEO Tim Cook in September 2014, its use as a health and fitness device was mentioned. However, the marketing campaign powering the launch used a famous and glossy 12-page spread in Vogue to establish the watch as 2015’s Birkin bag. Now, in response to the fizzling results on that front, Apple believes the watch’s future will be in chronic-disease monitoring. Insurtech is getting sexier by the day. The world needs cyber bonds. John Crom, Shefali Roy, Matt Beecher. John Crompton, HSBC’s former global corporate finance head, has been named chairman of Issufy’s advisory board. Also, Shefali Roy, a compliance and risk professional who has held senior posts at Stripe, Apple, Christie’s, Goldman Sachs, Shroder and Aviva, has joined TrueLayer as COO. Finally, Matt Beecher, a former co-founder of Redstar Ventures and SCS Financial, has joined Student Loan Genius as CEO. TruValue Labs has hitched its fortunes to two powerful trends in today’s global financial markets: sustainable investing according to ESG criteria and the use of artificial intelligence to make better investment decisions. But in TruValue’s case, its AI-centric approach is more than merely aspirational. Founded in San Francisco in 2013 and led by Hendrik Bartel, a former Amazon, Autodesk and Cisco executive, the company offers four products that take an ‘outside in’ approach to serving investment managers and analysts. 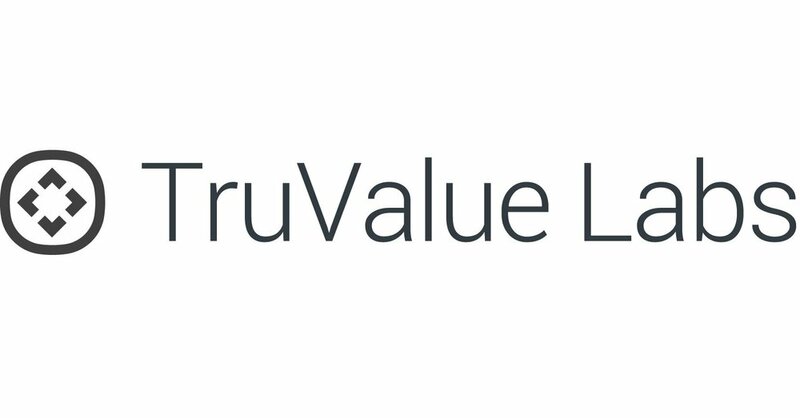 Instead of simply crunching client data, TruValue takes full advantage of AI by analyzing unstructured data from non-company-disclosed information on all US publicly-traded companies from over 75,000 sources. In partnership with the SASB (Sustainability Accounting Standard Board), the company has also forged deals with clients including State Street, Just Capital and Aspiration Partners. “Measuring ESG performance in real time using AI and our proprietary scoring system is a game-changer for investment managers seeking to find opportunities and manage risk,” said Bartel.